Dominika Katarzyna Borkowska is an interdisciplinary artist, born in Bydgoszcz, Poland. She studied Philosophy and graduated from the Faculty of Stage Choreography in Kraków. She also studied Mediation of Art at the Eugeniusz Geppert Academy of art and Design inWrocław. She has been practicing ballet and taekwondo since the age of seven. For a few years she was actively involved in theatre as a director and playwright. In her artistic work, she seeks to incorporate various fields of art and search for areas where art rarely happens or appears. She creates her body language through motion, color, and objects of distinctive texture. She concentrates on the process and development and combines the concepts of intimacy, relationships, contact, energy, rhythm, space. 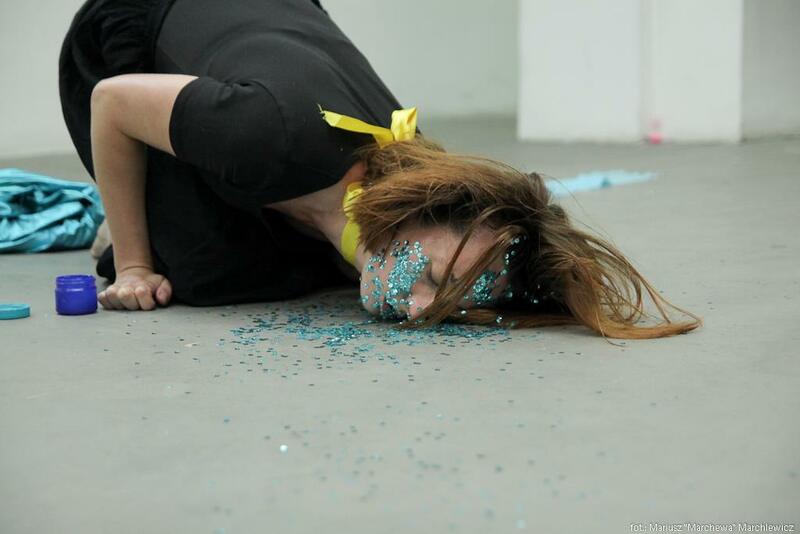 Her works could be seen in: Warsaw International Performance Art Weekend in Warsaw 2016, Social performance exhibition, gallery RE, MOCAK, Festival of Ephemeral Art Contexts, Sokołowsko, Interaction Festival 2016 Piotrków Trybunalski, Bipolar International Meetings of Performers 2018 Sopot, Performance Crossing Fear 2018 Prague, festival ZABIH 2018 Ukraine. 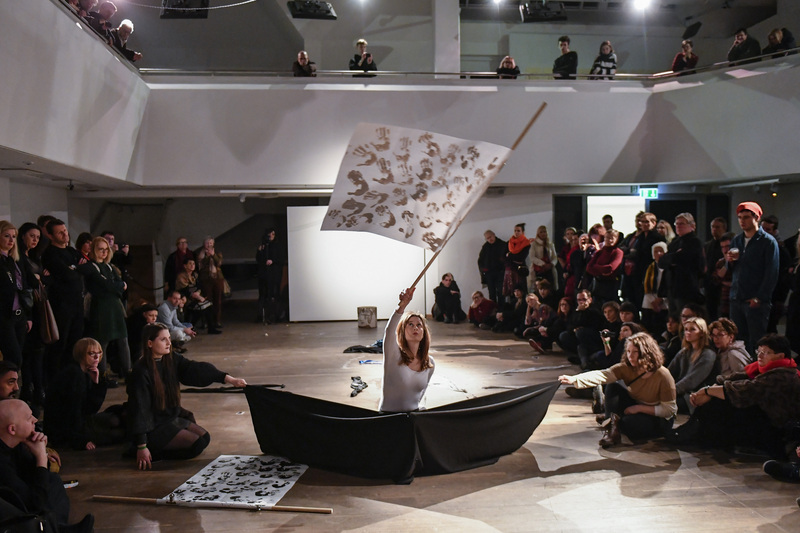 Together with Kamila Elżbieta Wolszczak, co-creates the Paraperformance collective. Since 2016 they have been doing the project “Key to performance”. about the medium, open yourself to art”. Creativity (Latin: creatus or creative) = creative attitude. And whether you seek its sources in chaos, suffering, or in peace and quiet – these are choices, more or less conscious. Transform. Love. Give. Accept. Go. Continue. Set the reminder in the phone and repeat “I am in Now” every hour. Yes, you are now in “Now” too! And Art happens in the Now. (…) Road is so physical feeling, somehow like someone is pulling you, like someone tied you with a string and guided you on it. The Road is not a idea, is a state. It is a state such eternal discomfort in this world, because you understand, that everythings around you its only for a moment and you realise that you will leave everything and that it doesn’t matter to you, because you are going further. The road is a state of life in which you remember that you have to go all the time. I am glad that I see all of you, but I must go. (…) To maintain the way, one must feel in his heart a longing, a constant longing for this place where I should come sooner or later.